Arabs continue to use cowardly tactics in their "Intifadah." Video and photographs show how it's done. Arabs use ambulance for cover. 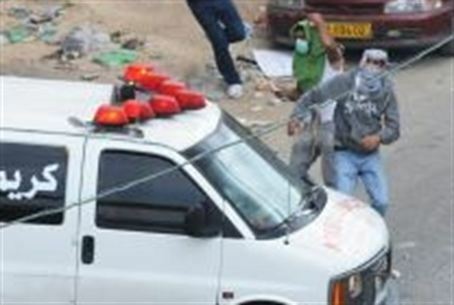 About 600 Arabs who rioted Sunday at Kalandia, north of Jerusalem, threw rocks and firebombs at security forces. Judging by past incidents, if Israeli forces were to fire at the Arabs and inadvertently hit the ambulance, pro-Muslim reporters and agencies would denounce Israel's "illegal" and "inhuman" behavior.